It has been six decades and counting that this originally Austrian company has been making, selling and enthralling sound engineers, broadcasters and musicians across the world that demand the highest quality. 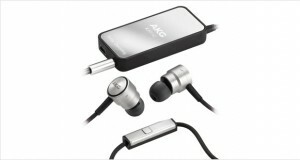 With over 300 sound reinforcement products for professional, prosumer and consumer segments including dynamic as well as condenser microphones, wired and wireless headphones and other sound-ware as a retailer, AKG Acoustics also sells to the mobile phone market as an Original Equipment Manufacturer (OEM) vendor for transducers within the mobiles. The company is firmly entrenched in Vienna, Austria where it has a 17,000 square-feet factory where it manufactures all of these equipment. The company has a solid joint-venture model throughout to facilitate auxiliary production – with subsidiaries in the UK, Germany and USA with joint-ventures in India and Japan. 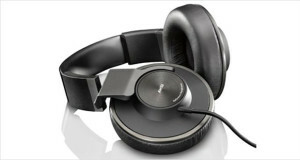 The headphones from AKG Acoustics are generally extremely good on the quality while being slightly pricey – considering its lineage and family, each and every headphone is worth the price in our opinion. It all started in 1945 when two acquaintances – Dr. Rudolf Görike, an experienced electrical engineer and the businessman Ernst Pless – met in the streets of Vienna. They had known each other before the Second World War and they were both quite enterprising and creative. An idea hatched into their minds – to provide equipment to movie theaters that had been damaged in the war, across the country. In two years they made this business into a formal company with five employees, calling it Akustische u. Kino-Geräte (Acoustics & Film Equipment). Görike was the creative and engineering pioneer behind a number of new products that soon spread around the streets of Vienna, especially microphones where it would come to be one of the world’s foremost leaders in this technology. In the ‘50s, Görike developed the revolutionary moving coil transducer and mass-loaded diaphragm that went on to be helpful in the development of the cardioid microphones that were an instant hit with radio stations and sound recording studios. Eventually, with several more innovations under its belt, the company was highly in demand by both radio stations and record studios for its high-quality microphones that reproduced sound magnificently. This led to a spurt of growth throughout the sixties, seventies and eighties, which saw AKG acquiring a variety of companies thus adding to their product portfolio. Moreover, they also began to innovate further with their products. 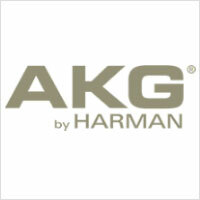 The spurt of growth due to product and process innovations that was enjoyed by AKG for quite a while came to an abrupt halt in the early nineties’ recession; in 1993 the company reported its first loss in the history and 75% of its stock was promptly bought by Harman Industries, an American audio and electronic product maker that proceeded to reorganize and recalibrate the company to its main focus – that of making quality headphones and microphones. The AKG Acoustics K550 are the monstrously big over ear headphones from AKG that provide a detailed and huge sound stage that is unmatched by much of its competition, while also managing to look good and have a very neutral sound signature for studio mixing.